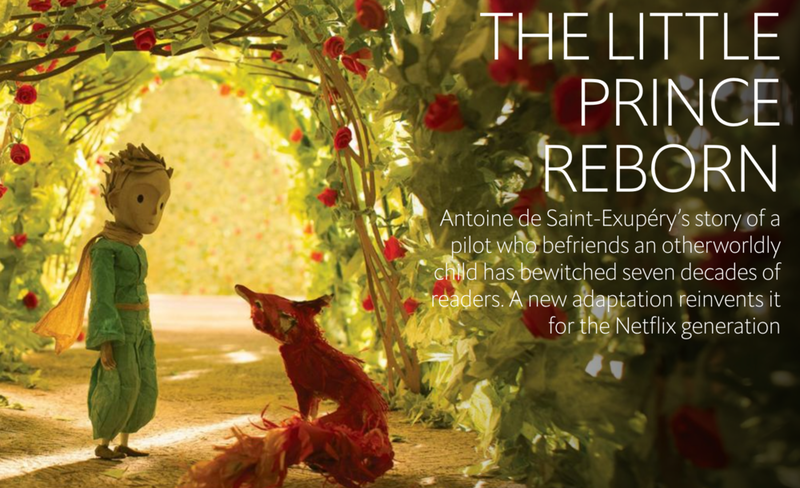 The Little Prince Page — Happy Product, Inc.
Mark Osborne's mixed-media animated feature film The Little Prince is a loving tribute inspired by Antoine de Saint­Exupéry’s hugely popular and beloved 1942 novella, which has been translated into more than 250 languages and has sold over 145 million copies worldwide. The film centers on the friendship between an eccentric old Aviator (Jeff Bridges) and the very grown­up young girl who moves into the house next door with her extremely grown­up Mother (Rachel McAdams). Through the pages of the Aviator’s book and his drawings, the Little Girl (Mackenzie Foy) learns the story of how he long ago crashed in a desert and met The Little Prince (Riley Osborne), an enigmatic boy from a distant planet. The Aviator’s experiences and the tale of The Little Prince’s travels to other worlds bring the Little Girl and the Aviator closer as they embark on a remarkable adventure together. The screenplay for The Little Prince was written by Irena Brignull and Bob Persichetti based on a story conceived by Osborne. The world of the Little Girl and her Mother are rendered in the very “grown­up” style of CG animation, used cleverly as a framing device for the classic story of The Little Prince, which comes to life in a very “childlike” technique of stop­motion animation, representing the eyes and imagination of the Little Girl. 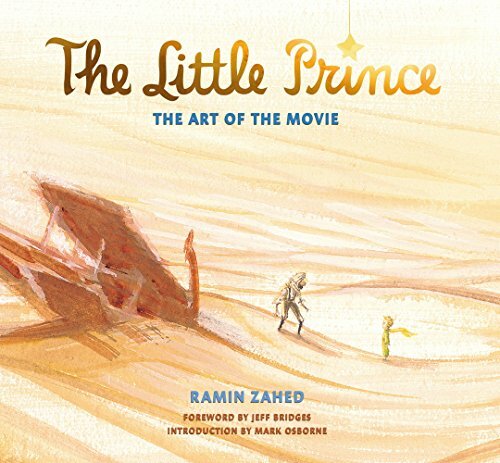 "From the very beginning...one gets the sense that “The Little Prince” was an artistically conceived venture, not merely born into existence through a desire to make a buck. There is some concept art in the early part of this tie-in that I would hang on my wall. The team behind “The Little Prince” understood that a new approach was needed to tackle Antoine de Saint-Exupéry’s timeless novel... This tome is loaded with concept art, stills, storyboards, character design sketches, and much more. And it’s not just a picture book, often noting how the process impacted the final product—I loved the note about how the fact that over 40% of the animators were female (it’s a typically male profession) and how that impacts the dynamic between the little girl and her mother." Check out the article and podcast detailing how 'The Little Prince' director pitched investors, artists and every single person involved in the making of his ambitious animated movie with the help of a 'magic suitcase'.